Ragtime music, or as it is also often called; Rag-time, is a style of music that was very popular between 1897 and 1918 (and still is today!). What makes this music so special is the syncopated rhythm combined with a “chopped” or "ragged", rhythm pattern in the bass. 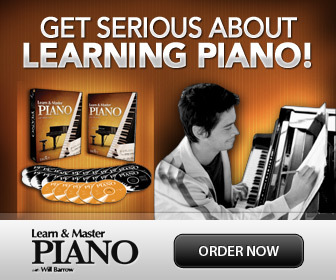 Here you can learn a little more about this style of music and print free sheet music! Ragtime was a dance music form found in the red-light districts of American cities such as St. Louis and New Orleans before it was being printed as popular sheet music for piano. 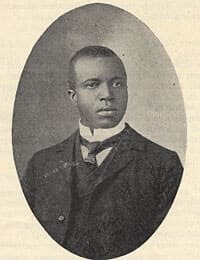 Scott Joplin is the most famous composer of rag-time pieces for piano of all time. Often called "The King of Ragtime", his style of composing has been said to be an American equivalent of minuets, mazurkas or waltzes. It's interesting to note that this style of music also influenced and inspired classical composers like Claude Debussy and Igor Stravinsky during the early 1900's. In case you're not quite ready for the big pieces yet, I can recommend this book with much easier but still great sounding arrangements: Scott Joplin's Greatest Hits (link goes to Amazon). 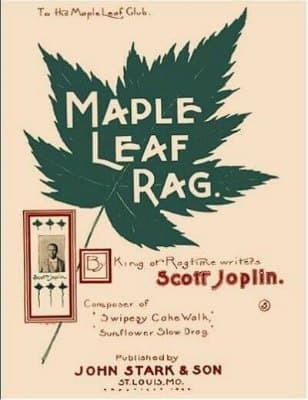 The Maple Leaf Rag is one of the most popular Ragtime pieces by Scott Joplin. Here I have selected a few of Scott Joplin's most popular and somewhat easier, (in their original form) rag-time pieces. The sheet music is in the public domain, so you can print for free and start playing immediately! Click on each link to open a PDF in a new window. Then you can just print it!